Big on performance but not in size the imageFORMULA DR-6010C delivers dependable, high-speed departmental scanning in a compact package. Coupled with the operator appreciated front-feed design the DR-6010C also comes with a selectable straight paper path which can be used for the trouble-free scanning of plastic cards and thick cards up to 546g/m², or more fragile documents. The DR-6010C doesn't just save time, it cuts energy consumption too, being one of the most energy efficient devices in its class. Despite the DR-6010C being small enough to fit on any desktop it's capable of taking on busy office requirements quickly and reliably with a suggested daily duty cycle of up to 7,500 scans a day. The DR-6010C can be used across a mixed range of business scanning applications. The Scan-To- Job buttons speed up productivity by allowing batches to be quickly scanned and sent to pre-defined destinations or workflow applications. 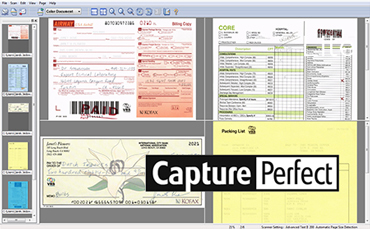 Canon's CapturePerfect software is bundled with the DR-6010C, with a Capture Perfect Software Developers Kit (SDK) also available for easy, customised integrations. Find out more about the Canon imageFORMULA DR-6010C, its features and what it can do.